In april 97 we have met for the second time and the topic was repotting of deciduous trees and conifers. A topic that seemed to be quite familiar to us. Nobuyuki Kajiwara showed with two examples what has to be considered, what are the wrong ideas and can have fatal results. And finally the topic of watering: this is as well a rather simple procedure - most people think. But what seems to be so easy turns out to be the most difficult part. 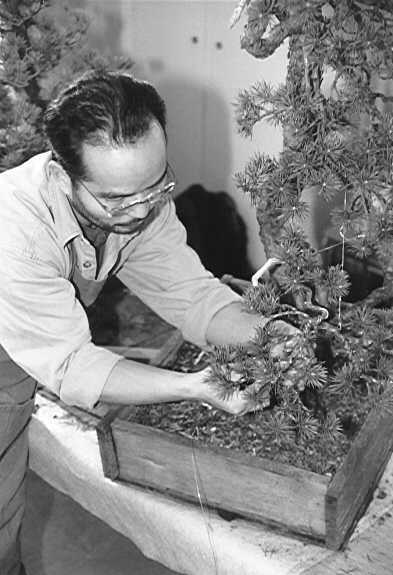 For good reasons the Japanese masters very often water the customers trees themselves - it is not a job for the apprentice!